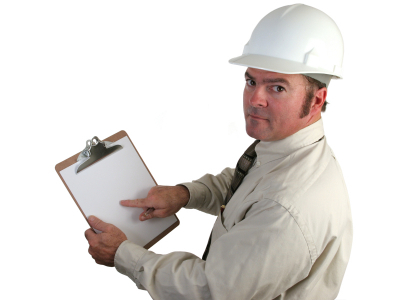 OSHA has recently released a guide to safety incentives, disincentives, and reporting issues. 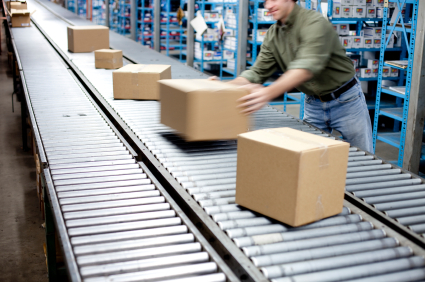 It’s worth a quick read if you manage a manufacturing, warehousing, or industrial facility. This document focuses on reporting/non-reporting workplace injury issues. OSHA says that “Reporting a work-related injury or illness is a core employee right, and retaliating against a worker for reporting an injury or illness is illegal discrimination under section 11(c).” Of course, smart companies want to know if there are unsafe conditions or practices. But what if your safety rewards program is discouraging employees from reporting incidents, or even near-misses? All the things you’d typically think are outlined – you can’t take disciplinary action against employees for incidents or injuries, unless the injuries are the result of a violation of workplace safety rules. Even then, you must tread carefully – can you document that violators who weren’t injured were also disciplined? Can you document training and similar enforcement? You must be consistent with enforcement and discipline, and you must be able to prove that you are consistent. OSHA wants you to enforce safety rules, but they want you to be fair, reasonable and consistent with your program. The tricky one is this: what if you have a bonus program for safety? Finally, some employers establish programs that unintentionally or intentionally provide employees an incentive to not report injuries. For example, an employer might enter all employees who have not been injured in the previous year in a drawing to win a prize, or a team of employees might be awarded a bonus if no one from the team is injured over some period of time. Such programs might be well-intentioned efforts by employers to encourage their workers to use safe practices. However, there are better ways to encourage safe work practices, such as incentives that promote worker participation in safety-related activities, such as identifying hazards or participating in investigations of injuries, incidents or “near misses”. OSHA’s VPP Guidance materials refer to a number of positive incentives, including providing tee shirts to workers serving on safety and health committees; offering modest rewards for suggesting ways to strengthen safety and health; or throwing a recognition party at the successful completion of company-wide safety and health training. See Revised Policy Memo #5 – Further Improvements to VPP (June 29, 2011). Incentive programs that discourage employees from reporting their injuries are problematic because, under section 11(c), an employer may not “in any manner discriminate” against an employee because the employee exercises a protected right, such as the right to report an injury. FRSA similarly prohibits a railroad carrier, contractor or subcontractor from discriminating against an employee who notifies, or attempts to notify, the railroad carrier or the Secretary of Transportation of a work-related personal injury. If an employee of a firm with a safety incentive program reports an injury, the employee, or the employee’s entire work group, will be disqualified from receiving the incentive, which could be considered unlawful discrimination. One important factor to consider is whether the incentive involved is of sufficient magnitude that failure to receive it “might have dissuaded reasonable workers from” reporting injuries. Burlington Northern & Santa Fe Railway Co. v. White, 548 U.S. 53, 68 (2006). In addition, if the incentive is great enough that its loss dissuades reasonable workers from reporting injuries, the program would result in the employer’s failure to record injuries that it is required to record under Part 1904. In this case, the employer is violating that rule, and a referral for a record keeping investigation should be made. If the employer is a railroad carrier, contractor or subcontractor, a violation of FRA injury-reporting regulations may have occurred and a referral to the FRA may be appropriate. This may be more likely in cases where an entire workgroup is disqualified because of a reported injury to one member, because the injured worker in such a case may feel reluctant to disadvantage the other workgroup members. Employees who help employees work safer. Can you design incentives for those who assist others in working safer? Reward participation. If employees volunteer for safety teams, rewarding them should not conflict with reporting incidents. As always, for legal issues dealing with worker safety, you should consult your safety managers or other qualified professionals. See our safety resources area for more information on industrial safety.